All the goodness of a taco in pizza form. No time to make dinner? No problem. Larry's got you covered. All you can eat pizza, with a salad and drink! Monday - Saturday! We serve a wide variety of soft drinks, as well as wine and beer. 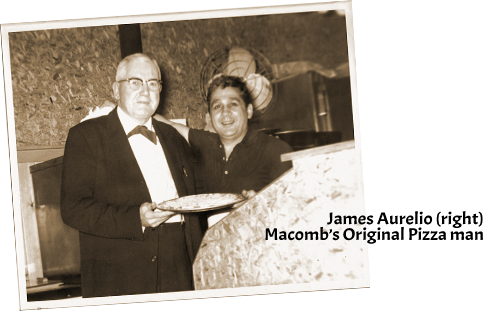 IN 1952, James Aurelio opened the Italian Village, Macomb’s first pizzeria, in downtown Macomb. 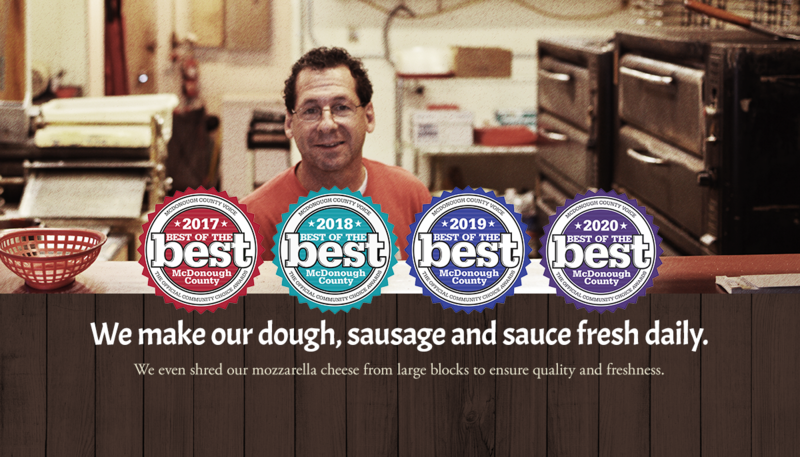 Today, James’ son, Larry, follows in his father’s footsteps by producing the very same pizza that was enjoyed by countless satisfied customers at the Italian Village for 23 years. 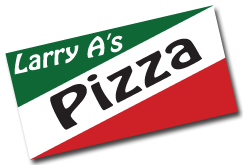 At Larry A’s, we proudly offer a collection of authentic Italian entrees including pizza, calzones, salads, spaghetti and specialty sandwiches. Using a 56-year old family recipe and the finest of ingredients, Larry A’s remains true to its old-world Italian heritage. 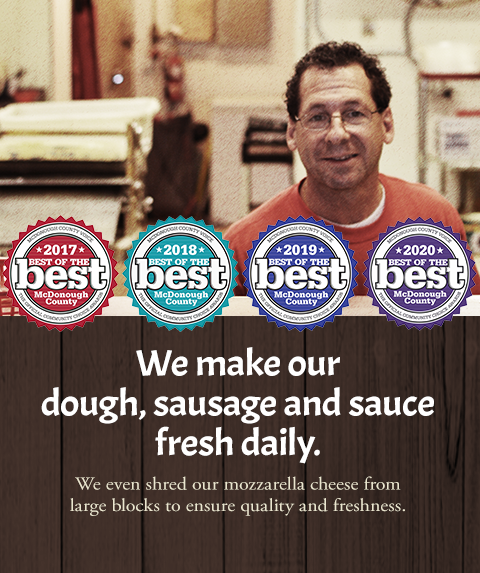 At Larry A’s, we make our dough, sausage and sauce fresh daily. We even shred our mozzarella cheese from large blocks to ensure quality and freshness. Try a simple dinner salad with lettuce and tomatoes. Choose Spaghetti or Mostaccioli with our homemade sauce. Served with Garlic Bread & Salad. I live in K.C. and no pizza compares to Larry A's. Whenever I'm back in Macomb I make sure to have it. Best sauce in town. My favorite Friday night tradition!